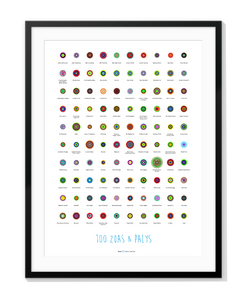 This project is a tribute to tiny but even more colorful corals: Zoanthus and Palythoas. 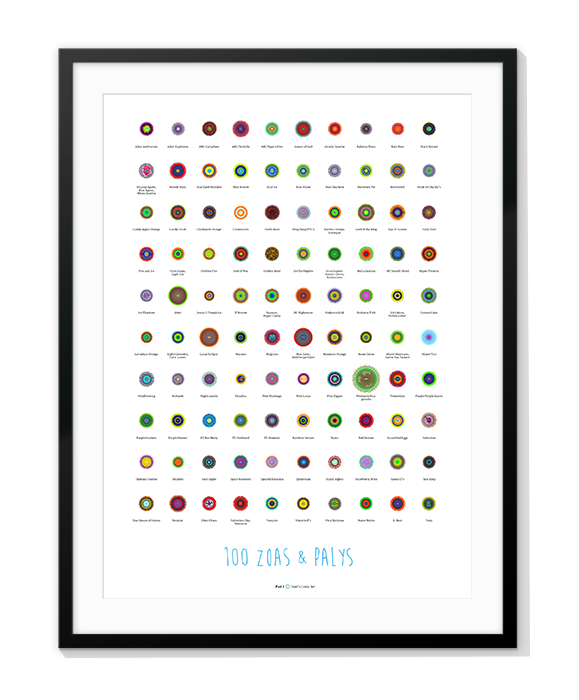 100 corals have been illustrated and put on a poster. These little anemones exist in more than 300 color morphs. They are easy to keep. People keep them, breed them and even more important: Share them. There is a huge scene of zoa keepers who meet at events sharing their corals. To distinguish the different color morphs, dealers invented funny names for the little critters. Being traded by many dealers at a time it can happen that the same coral appears with different names. It’s always a joy to find out the correct or even most commonly used name for your coral.